Martyn Hilbert's Railway Photography - Preston & District - Class 150/1 150137 at Kirkham. Class 150/1 150137 at Kirkham. 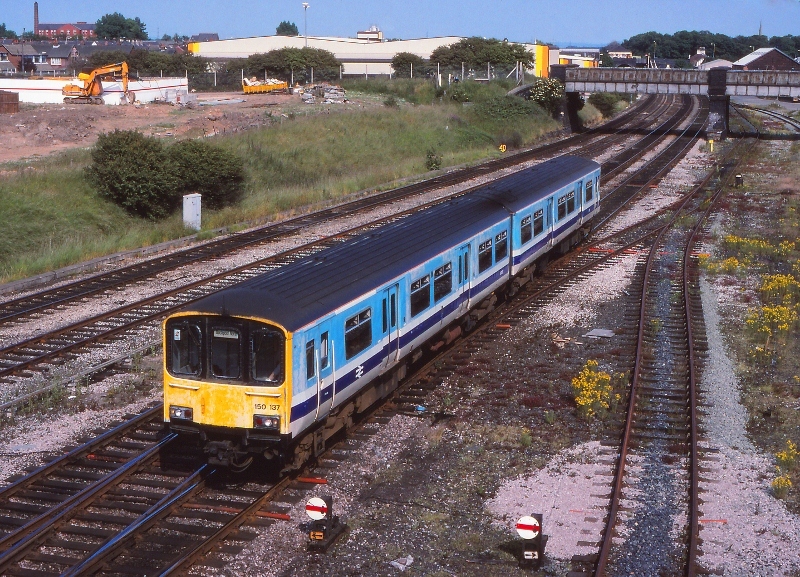 In faded Provincial Services livery, Class 150/1 Sprinter, 150137 is into the last leg of its long journey from Cleethorpes to Blackpool North on a Saturday in May 1994, approaching Kirkham North Junction.